We know the importance of ensuring your equipment is correctly calibrated. ISO 17025 is the internationally recognised standard of accreditation for calibration laboratories. For any facility involved in measurement operating to this standard will demonstrate a high level of quality over the work that you do. C&M Scientific Ltd are ISO 17025 accredited for: temperature, rotational speed (centrifuges) and time and has a long history of providing calibration to our customers. It is important that we have full details of the requirements that must be met. C&M Scientific Ltd can offer a basic calibration service or alternately we are also accredited to ISO 17025 and ISO 14001 plus we can provide UKAS level calibration. Our current accreditation covers temperatures in the range from -196oC to +125oC we also have accreditation for rotational speeds up to 20,000 rpm. Choosing the right support company is important and simply to have ISO 17025 accreditation is not enough; it is vitally important that you check the scope of accreditation and the level of uncertainty applied to the scope. All of these are significant factors in ensuring that you select an appropriate accredited organisation to undertake your work. 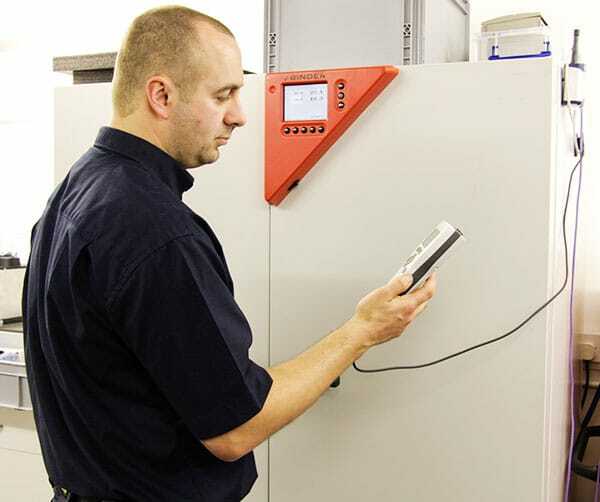 We invite you to get in touch with one of our calibration specialists and enquire about how we can help you establish, maintain or support your calibration targets or requirements. Calibrate your temperature controlled chambers. From freezers (-80, -70, -40 etc) to incubators and ovens we have a range of expertise to calibrate your temperature controlled chambers. Supporting a wide range of laboratories. C&M Scientific Ltd also provides calibration for relative humidity and CO2 thereby offering a comprehensive support to a wide range of laboratories. Not currently available under ISO 17025. Calibrating for: speed, temperature and duration. Centrifuges can also be calibrated for: speed, temperature and duration. Chamber mapping whether bench top units, rooms or warehouses C&M have the experience to provide reports suitable for all regulatory bodies.